Hair loss and thinning hair is stressful for both men and women. Our hair is part of who we are and its loss affects our self-image and decreases our confidence. It is no wonder, that even in Greek Mythology, Samson’s hair is what gives him his power and its loss will signify the loss of it. Hair loss can be the result of heredity, hormonal changes, medical conditions or medications. However, both men and women can now have thicker, healthier hair with platelet rich plasma derived from their own blood. What is PRP Treatment for Hair Loss? Platelet rich plasma, commonly referred to as PRP, is a treatment where blood is drawn, similar to a routine blood test, then prepared using a centrifuge to produce a concentration of plasma, rich with platelets. Platelet rich plasma (PRP) has been used for decades in various medical disciplines to repair and regenerate damaged tissues. Now there are a multitude of studies in the medical literature demonstrating that platelets contain growth factors that strengthen hair and prevent hair loss. PRP is especially useful to combat thinning hair. PRP treatment for hair restoration is ideal for both men and women suffering from hair loss or a receding hairline. What Should I Expect at my First PRP Consultation and Treatment? Upon arrival at Healthy Skin Centre, you will have your history taken along with pictures of your scalp. One of nurses will then take your blood from a vein in your arm. This part of the procedure is similar to giving a blood test at a lab. Your blood contains the platelets, growth factors, and white blood cells that will be concentrated by our centrifuge to inject into your scalp. We use very tiny needles to inject into your scalp meticulously following your hair loss pattern. The PRP will then stimulate inactive hair follicles to enter the active growth phase. How Long Does a PRP Treatment for Hair Loss Take? The entire procedure of a PRP treatment for hair loss prevention and hair restoration will usually take approximately 45 minutes. How Many PRP Treatments are Required? Three to four PRP sessions in total, one every four weeks are required. To maintain results, repeat sessions may be required every six to 12 months. The first thing you will notice a few weeks after PRP treatment is a decrease in hair loss. Then over a period of months, you will notice thicker hair in the areas of treatment. Who is a Good Candidate for Hair Treatments? Patients with thinning hair, but not totally bald, are the best candidates for PRP treatments. In studies, treatment with PRP was done in men and women suffering from mild to moderate androgenetic alopecia (hereditary male or female pattern baldness) wishing to improve the quality and fullness of their hair. There is minimal discomfort during treatment. We recommend taking Tylenol before your treatment and ensuring you are well hydrated. At Healthy Skin Centre, we ensure your comfort by using cool air, vibration or a local numbing cream for sensitive patients. Most patients, report no pain following treatment. Since PRP is derived from your own blood, there is virtually no risk of an allergic reaction or rejection. It is the natural way to enhance hair growth and thickness. What Should I do Before my PRP Treatment? We recommend avoiding the following for at least 7 days before your treatment as they will increase your risk of bruising: ASA, NSAIDS, fish oil, garlic and wine. We also recommend drinking at least 1 L of water and being well hydrated in the 24 hours before your PRP treatment. Do not stop ASA if you are taking it for a medical condition as recommended by your doctor. What Should I Expect Post Treatment? You can resume normal activities immediately post treatment. We recommend taking a warm shower to stimulate your scalp and circulation, approximately 12 to 24 hours after treatment. You may apply gels to your scalp 24 hours after your PRP treatment but avoid harsh chemicals and dyes for at least a week. There may be some bruising which will resolve naturally. What Kind of Results can I Expect for Hair Thickening? PRP unfortunately cannot treat baldness. Activated platelets and growth factors found in blood plasma stimulate the regrowth of the hair bulb (hair root), and reverse the “miniaturization” of hair follicles that leads to hair loss and thinning hair. PRP makes hair thicker and healthier but hair needs to be there to be stimulated. Why Choose Healthy Skin Centre for PRP? We have a wide range of PRP treatment options so you get the solution that is right for you, including PRP with microneedling, PRP with direct injection and PRP with topical prescriptions. We track PRP hair restoration treatment progress photographically, so you can see the results of each treatment. And, as with all our treatments, PRP is performed under the supervision of our physicians. es hair thicker and healthier but hair needs to be there to be stimulated. The first step is a call us at 604.553.7546 to book an appointment. We will review your needs and set you up for a consultation with one of our physicians along with one of our specially trained team of nurse injectors who help administer the treatment. Miao, Y., et al. Promotional effect of PRP on hair follicle reconstitution in vivo. Derm Surg. 2013; 39:1869-1876. Greco, J., and R. Brandt. The effects of autologous platelet rich plasma and various growth factors on non-transplanted miniaturized hair. Hair Transplant Forum Int’l. 2009; 19:49-50. Cervelli, S. Garcovich, A. Bielli, G. Cervelli, et al. “The effect of autologous activated platelet rich plasma (AA-PRP) injection on pattern hair loss: clinical and histomorphometric evaluation,” BioMed Research International. Volume 2014. 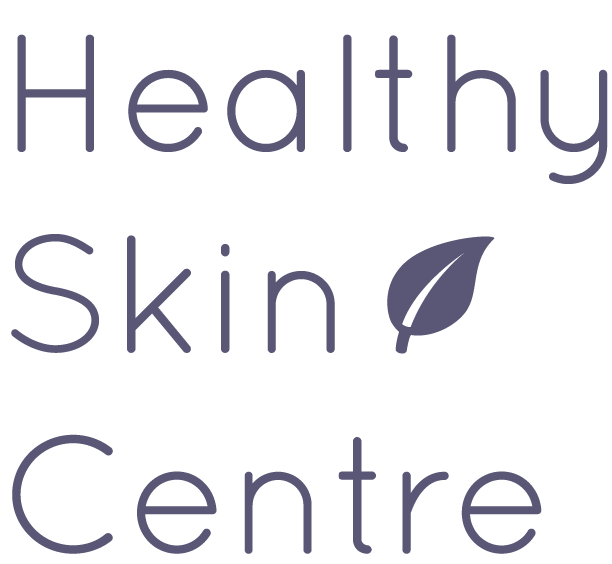 At the Healthy Skin Centre, we provide physician-directed, non-invasive cosmetic dermatology procedures, vein procedures and skin cancer surgery for both women and men to look as good and as young as they feel. Healthy skin is beautiful skin.